Absolutely mint suburban small bar. The Stanley was reviewed on Thursday 29th March 2012 18:51 by Richard. It's not often that you find a small bar outside a CBD or some sort of bustling metropolitan district. 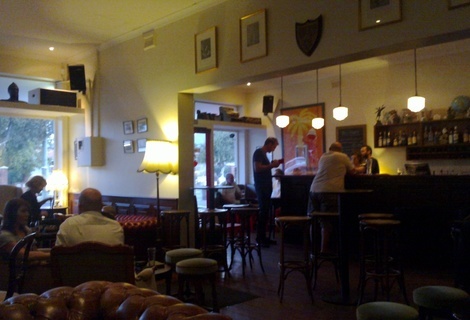 The Stanley is a small bar tucked away in the suburbs, on Cambridge street in Wembley to be exact. If you're not looking for it, it's not hard to miss. I didn't know it was a bar until about 6 months ago and must've walked past it at least a dozen times. We went down to the Stanley for a beer and a yarn after yet another long day at work. The thing I love most about The Stanley is that it almost feels like you could be sitting in someone's lounge room with the added bonus of having a bar within 10 - 20 steps away, oh, and there's a few strangers sitting around you. The decor is strange, but I like it, all sorts of weird things hanging from the walls and behind the bar that add to the character of the place. There are a fair few big old leather couches throught the bar, some smaller tables and chairs and even a deceptively long courtyard out the back. We sat down an arms length from the bar, a dangerous decision as the beers were an awesome reprieve from Perth's abnormally warm autumn weather. We had a few pints of Weihenstephaner, the only beer on-tap, and at $10 a pint it's quite good value for premium German beer. There is also a small range of bottled craft beers, and a sufficient wine list. Food wise there are only a few bar snacks (nuts etc) but they allow you to bring in a burger from Flipside next door, which is great because after jus burgers, I think they're one of the best burgers in town. We ordered a couple of burgers from next door and they brought them to our table a short while later. The burgers are awesome, quality ingredients and cooked to perfection, the chips generally aren't too bad either. The crowd seems to be quite a hip bunch of people, mostly a bit older and mostly local. The Stanley really is a great place to have a drink and chill out a bit, during the week there are always people there but it's normally not packed (Friday excluded), which I think is ideal for catching up with mates. You don't have to raise your voice to overcome the noise from a bunch of rowdy bogans or a cackling group of ladies. So next time you're in Wembley, get a group of mates together and head over to The Stanley for a drink. 6/10Wembley Hotel in Wembley, WA (494m away)Great potential but consistently inconsistent. 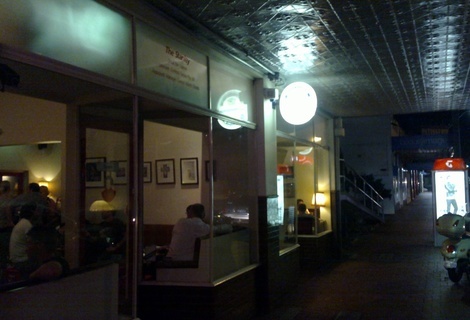 5/10Fire and Ice Bar in Subiaco, WA (911m away)Surprisingly good food, convenient location with limited drinks menu. 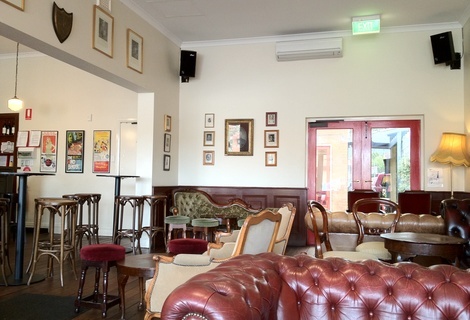 7/10The Village Bar in Subiaco, WA (961m away)Modern Subi pub - quality food and a decent range of beers.